I have a question about the smaller Mormon presses. I believe in years past some of the books Cedar Fort published were “author assisted”, that is the author paid for some of the costs of publication. Do you know if Cedar Fort still does that? And do any of the others–Granite, Spring Creek, etc, do it? I moved this from the comments trail on another post because I think it’s a good topic for discussion. It comes up every once in awhile and people usually have strong feelings about it. Yes, Cedar Fort does it. I think Granite does too. Some other smaller presses do it, but aren’t very vocal about it. My company has done it once or twice. There is a thin line between “author assisted” publishing and vanity press, and it all depends on how the publisher handles it. I’ve blogged about it before here and here. Do these publishers advertise the part about “assisting” in the costs? Or, is it just common knowledge? 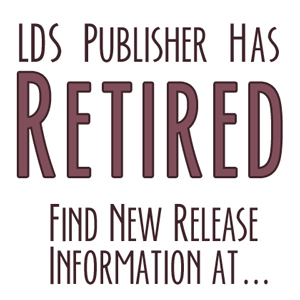 If you’re offered a contract with one of these publishers on the condition that you “help” financially, is it bad form to pass on the offer since the LDS market is so small?